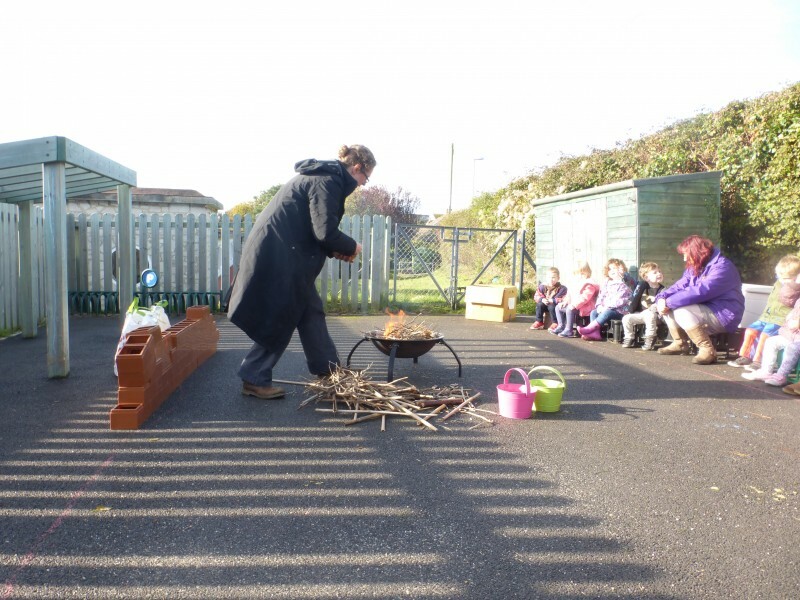 Learning about fire and how to keep safe. 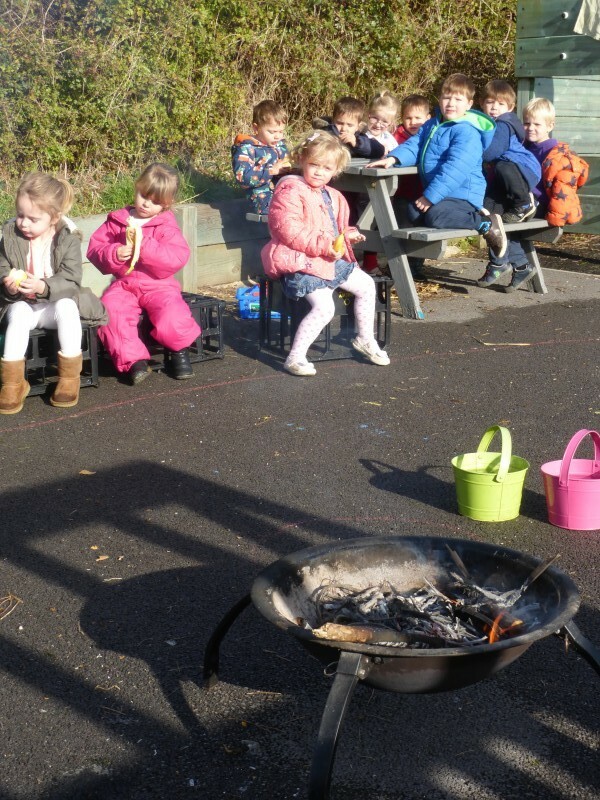 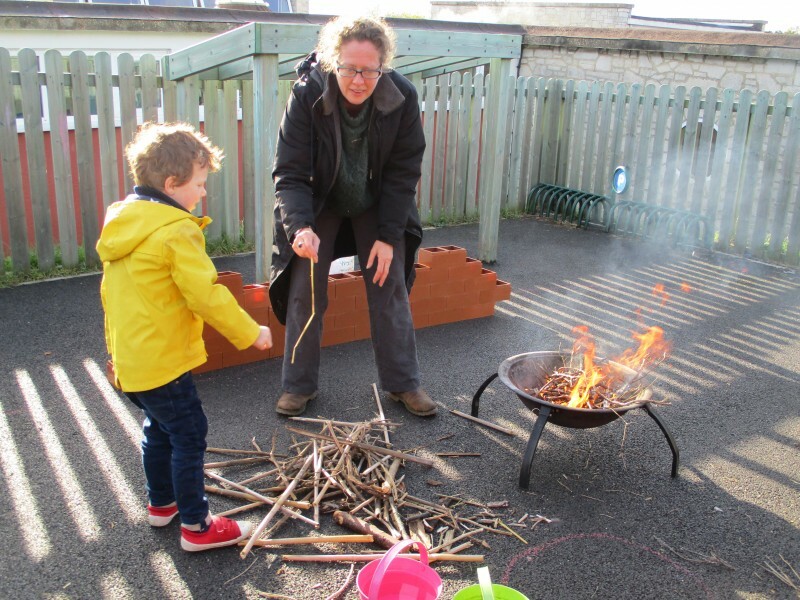 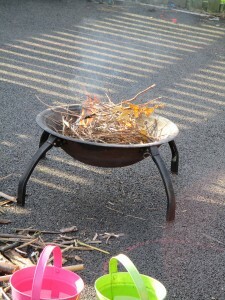 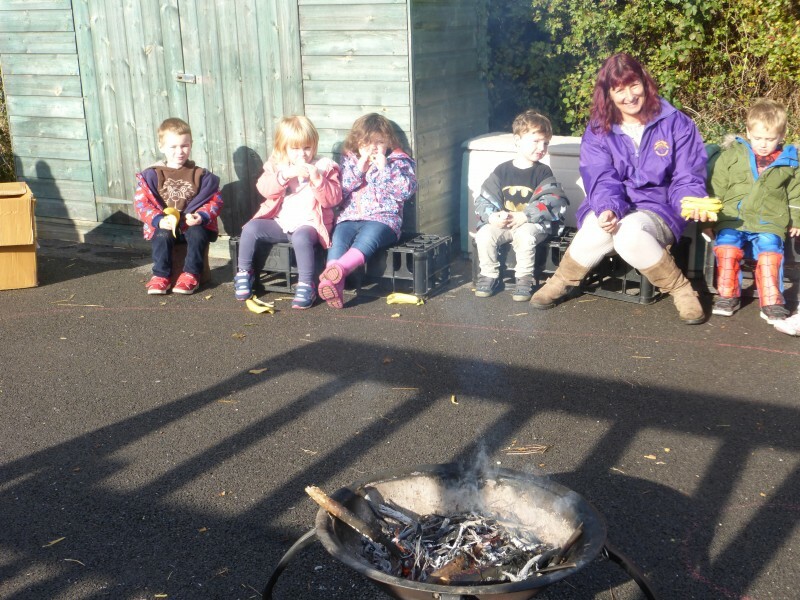 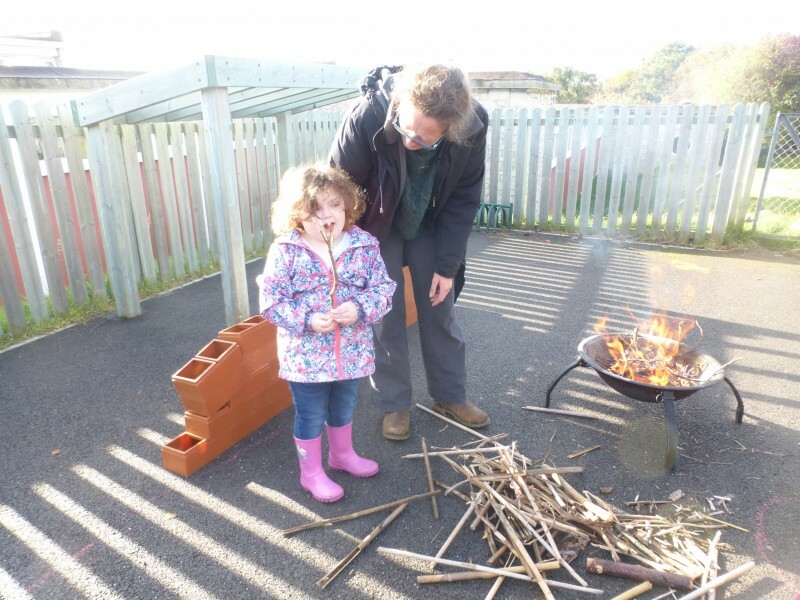 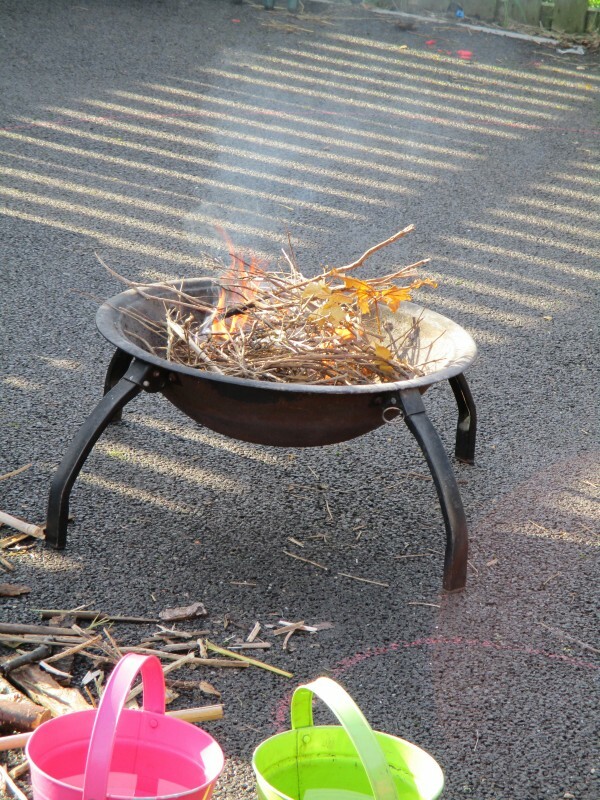 FS1 had an exciting morning making a fire in our playground. 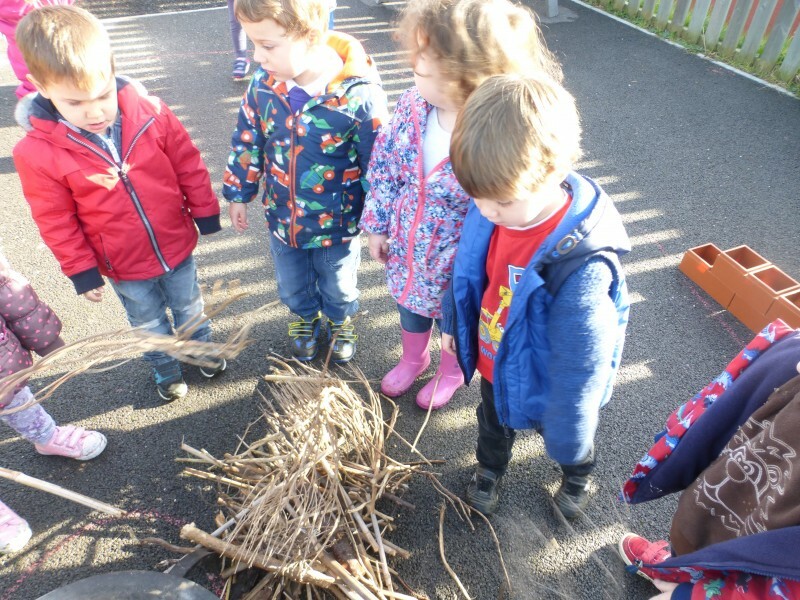 There had been a lot of talk about bonfire night so we decided to have our own and learn how to be safe around fire. 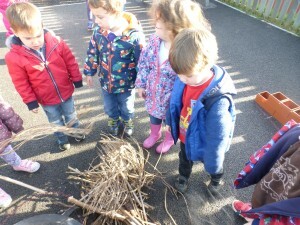 First we went on a ‘stick hunt’ around the school. 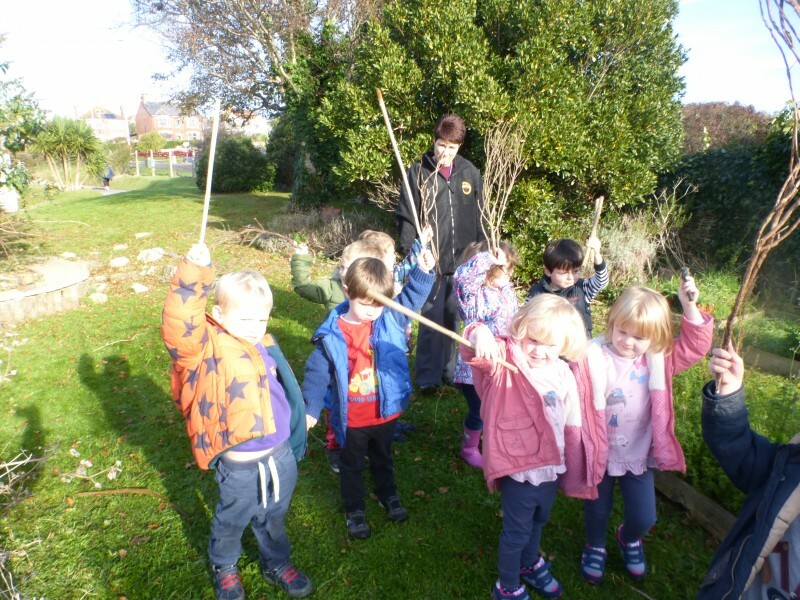 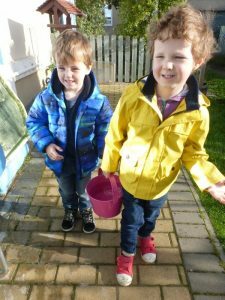 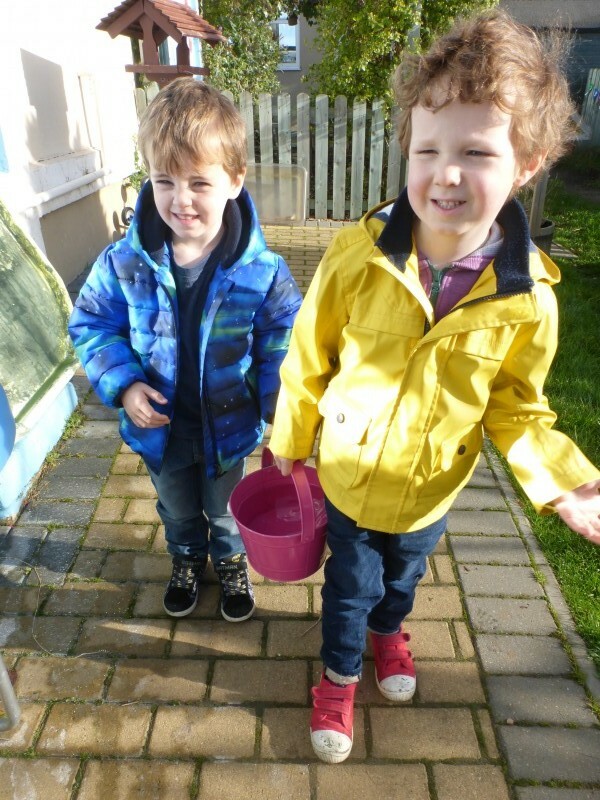 Then we took the sticks back to the Nursery garden where we sorted them into big sticks and little sticks. 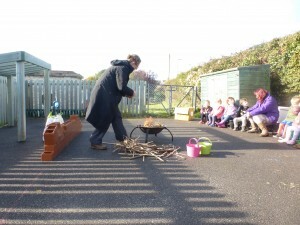 We built a wall to stand behind to keep us safe, and made a line of crates to sit on. 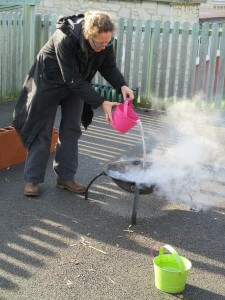 We got emergency water ready, just like fire-fighters, so we could put out the fire if we needed to. 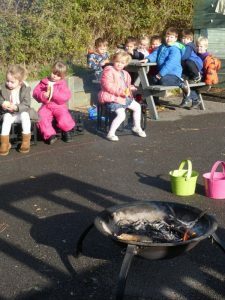 We had a fantastic time listening to the crackling of the fire, looking at the beautiful patterns from the flames and the smoke, smelling the air and feeling the heat. 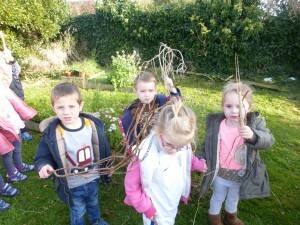 It was a sensory adventure! 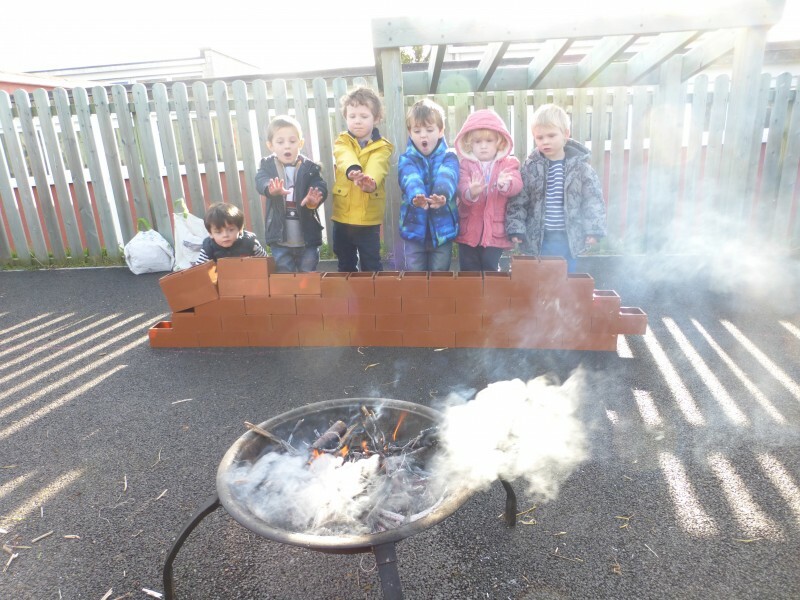 When we’d finished we put the fire out and heard the fizz and saw steam rising as the water evaporated (“like a cloud”, as a couple of children said).